We have all been too quick to make up our minds and too slow to change them. And if we don’t examine how we make these mistakes, we will keep making them. 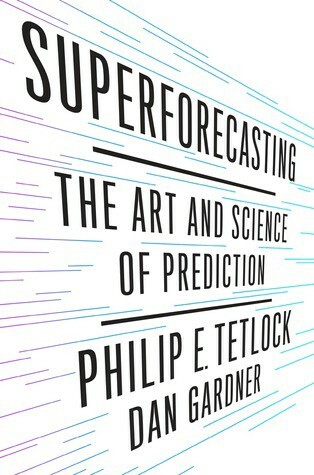 Superforecasting: The Art and Science of Prediction is written by Philip E. Tetlock and Dan Gardner. Philip Tetlock, a Wharton professor, is the author of a 20-year-old study that showed that even the best experts are only slightly better than random chance at predicting events. He has been now running a federal funded experiment for the last 10 years, the Good Judgement Project, which aims to identify the elements that makes some people predict better than others. Dan Gardner is a science journalist and author. Strive to distinguish as many degrees of doubt as the problem permits and no more. The earlier 10 rules are not sacrosanct. This book has 12 chapters. The initial chapters deal with the basics of uncertainty and why it is difficult to predict. It, then, gets into what makes superforecasters ‘super’. The next three to four chapters explores the reasons why and why not some forecasters are better than others. It ends with exploring meta themes around superforecasters like their working in teams, leadership etc. The book ends with an appendix that condenses all the learning into 2–3 pages. Superforecasting is a well written book with a logical structure and progression. The author knows exactly where he wants to take us and how to take us there. I felt that I was taking a course at university when going through this book — it was structured so well. Philip Tetlock has spent his life researching forecasting and this shows in the content. There are a number of insights which come across to us. In addition, he is able to bring in elements from various people like Amos Tversky, Daniel Kahnemann, Nassim Taleb, Gary Klein and Angela Duckworth, to compare, contrast and assimilate. In the end, this is a great book on not just decision making but on improving our critical thinking skills. Superforecasting gets a bit dense at times. This means that readers will have to put in some effort to grok what is being said and why. I found it hard at times to continue without taking a break. There is a lot to process and this is not for the faint-hearted. I strongly recommend this book. It is one of the best for improving critical thinking skills. This book is not an easy read, but is certainly a valuable one. It is one of those books which will give you the satisfaction of having learnt something. The author has done a great job of pulling together various threads from different schools of thought, combined it with their own research and analysis to create a coherent plan for us to become better at critical thinking.